In the mid 1930s, Sir Farquhar Buzzard, Regius Professor of Medicine, wished Oxford to have a Centre for Postgraduate Medicine with chairs of medicine, surgery, and gynaecology and obstetrics. Lord Nuffield (left) offered a donation of £1,250,000. During a casual conversation with Lord Nuffield at the Huntercombe Golf Club, Dr Robert Reynold Macintosh, a very successful London anaesthetist, remarked: “I see they have forgotten anaesthetics again”. Lord Nuffield decided that a chair of anaesthetics should be added as part of his benefaction. The University of Oxford did not regard anaesthetics as an academic subject, but finally relented. Lord Nuffield then announced that he had increased his benefaction to £ 2M (worth £130M today). 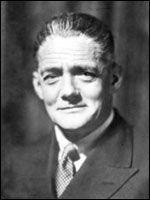 Lord Nuffield wanted Dr Macintosh to be the Nuffield Professor of Anaesthetics, and head of the first independent department of anaesthesia in the UK, in Europe, and in the Commonwealth. During his tenure of the chair (1937-1965), Professor Macintosh’s main concerns were to increase the safety of anaesthesia through better training, to lay the scientific foundations of anaesthetic practice, and to develop equipment that would allow the safe delivery of anaesthesia. Training courses were attended by many anaesthetists from the UK, Europe, and the Commonwealth. Many became heads of department. As the senior anaesthetist in the Royal Air Force, Air Commodore Macintosh contributed to the testing of life jackets. This included throwing a volunteer, Dr Pask, fully anaesthetised, into a swimming pool to determine how quickly the life jacket would make him float on his back with his head out of water. Prototype equipment (laryngoscopes, endotracheal tubes, vaporizers, ventilators) was built and adopted rapidly worldwide. The most notable and still in almost universal use is the Macintosh laryngoscope blade. Professor Macintosh received a knighthood in 1955. Professor Alexander Crampton Smith, a consultant in the department, was elected to the Chair in 1965. Like his predecessor, and his successors, he became a Fellow of Pembroke College. The main areas of the department’s research were applied respiratory physiology, developments of blood-gas analysis (Dr Clive Hahn), and cardiovascular clinical and experimental research (Dr C Prys-Roberts). Most important were studies in patients with tetanus leading to a major advance, namely the use of alpha- and beta-blockers in their management, and studies in patients with arterial hypertension. Professor Crampton Smith supported the development of a purpose-built adult intensive care unit at the Radcliffe Infirmary, and later at the John Radcliffe Hospital as well as the development of a Chronic Pain Relief Unit. He retired at the end of 1979. In 1980, Professor (later Sir) Keith Sykes took up the Chair. He established a new laboratory for the study of the pulmonary circulation. The research strength of the department increased with new appointments (Dr Henry McQuay, Clinical Reader in Pain Relief; Dr John Sear, Clinical Reader in Anaesthesia). Research students, fellows and senior researchers from the UK and abroad joined the department. Grants were awarded by the Medical Research Council (MRC), Engineering and Physical Sciences Research Council (EPSRC), British Heart Foundation (BHF), Wellcome Trust, European Academy of Anaesthesiology, and other scientific foundations. Professor Sykes received a knighthood in 1991 and retired a few months later. Professor Pierre Foëx then took up the Chair. His major interests were experimental and clinical applied cardiovascular physiology and pharmacology, especially the effects of myocardial ischaemia on cardiac function. With Dr Sear, studies of arterial hypertension and silent myocardial ischaemia expanded. Respiratory research continued (Dr Duncan Young, Dr Clive Hahn). Professor Foëx passion for maintaining a close integration of the clinical and research arms of the department was critical at a time when academic anaesthesia was under considerable threat nationally. He retired in 2002. Professor Clive Hahn was appointed Head of Department in October 2002 pending the election of a new Nuffield professor. He maintained close collaboration with the clinicians and devoted most of the department’s activity to mathematical modelling of the respiratory system including oxygen and carbon dioxide transfer, while continuing with the development of biosensors. In December 2006 two Nuffield chairs were created: one for Professor Irene Tracey as Professor of Anaesthetic Science, and the other for Professor Henry McQuay as Professor of Clinical Anaesthetics. These elections made the department a major centre for pain research and neuroimaging. 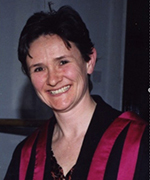 Professor Irene Tracey continued as Director of the Oxford Centre for Functional Magnetic Resonance Imaging of the Brain (FMRIB) (a world-leading multidisciplinary neuroimaging laboratory comprising over 100 scientists and clinicians). Gaining an understanding of the central mechanisms that contribute to the development and maintenance of acute and chronic pain experiences, as well as their relief via pharmacological and psychological means is fundamental to the pathophysiology and treatment of pain. Professor Henry McQuay continued to bring considerable experience in chronic pain management, and in evidence-based medicine. He retired in 2010. A major development was the creation of a simulation centre within the NDA (OxSim, now Oxford Simulation Teaching and Research Centre [OxSTaR]). All medical students, an increasingly large number of foundation and anaesthetic trainees, GPs, nurses, and paramedics, benefit hugely from the centre, now under the direction of Dr Helen Higham. During 2007, the department moved into state-of-the-art laboratories and office space in the West Wing of the John Radcliffe Hospital. Professor Tracey as Head of Department steered the NDA to become part of the newly created Nuffield Department of Clinical Neurosciences. There are considerable research synergies within this new department, facilitated by having a joint administration and a collective management group. This provides a stronger and more coherent research infrastructure for clinicians and researchers. Critically, this means a better, truly internationally competitive, research environment for trainees and researchers. There is now a cadre of young anaesthetists funded on independent fellowships to pursue DPhils and research under the MRC and Biomedical Research Centre (BRC), as well as more senior anaesthetists funded via competitive prestigious fellowships. The NDA has been awarded several anaesthetic clinical fellows and one anaesthetic clinical lectureship that will further enable its growth. Professor Tracey is passionate about developing and growing academic anaesthesia through these young trainees. These efforts have been greatly supported by the clinical consultant body, as well as by several senior clinical fellows (Professors Duncan Young, Jaideep Pandit, Andrew Farmery, Rhys Evans, Kyle Pattinson, Drs Douglas Wilkinson and Helen Higham). With this increasingly large number of clinical and basic academics, and the new opportunities afforded within clinical neurosciences, the division will continue to flourish. On the appointment of Professor Tracey to Head of the Nuffield Department of Clinical Neurosciences, Professor Andrew Farmery was appointed Head of the Nuffield Division of Anaesthetics. His research interest is applied respiratory physiology, particularly mathematical modelling of pulmonary function. Since 1937, there has always been close collaboration between clinicians and academics. NHS consultants have greatly contributed to the research output of the department. Many have been College tutors, Regional Advisers, or members of Council of the Royal College of Anaesthetists (RCoA), or the Association of Anaesthetists of Great Britain and Ireland, as well as lecturers on RCoA Courses and/or FRCA Examiners. Today, NDA is responsible for the delivery of anaesthesia for 44 operating theatres at the John Radcliffe Hospital and its West Wing, the Women’s Centre, the Churchill Hospital, the Nuffield Orthopaedic Centre and the Horton Hospital. It has extensive commitment to four Intensive Therapy Units (John Radcliffe, Churchill, Neuro Intensive Care, Cardiothoracic Intensive Care), and Paediatric Intensive Care. Members of NDA are also responsible for anaesthesia in maternity services and a variety of other wards and areas, as well as acute and chronic pain management. Each year, as the base hospital for the Oxford Deanery, NDA offers training opportunities to 20 new core and 18 new specialty trainees. Over the 80 years of its existence, the Nuffield Department of Anaesthetics has contributed extensively to the training of anaesthetists through courses for the Primary and Final FRCA, Clinical Measurements, Anaesthesia in Developing Countries, and Regional Anaesthesia. The NDA has fulfilled its role in education and training, and few can dispute that it will continue to make outstanding contributions to research. Anaesthesia is undoubtedly an academic speciality, and it owes a huge debt to the foresight of Lord Nuffield.